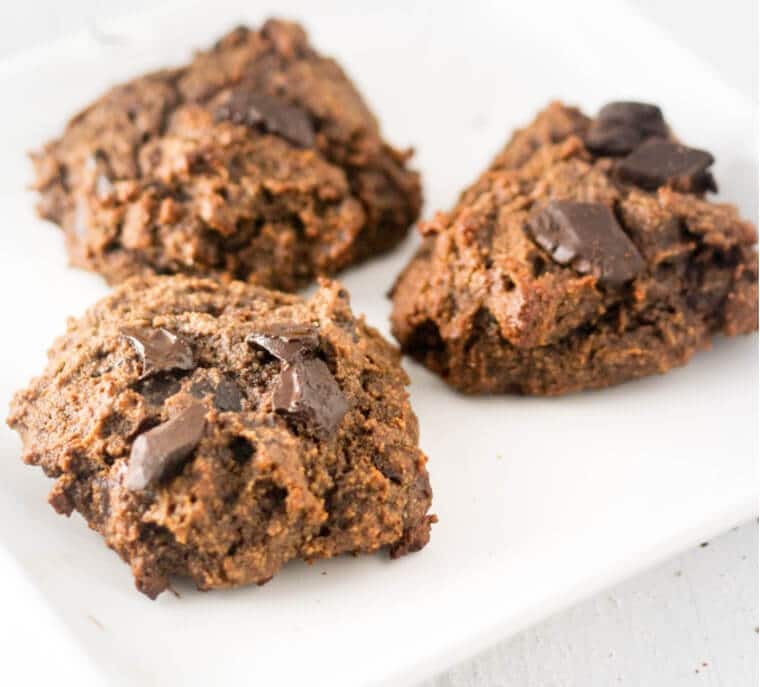 Round up of the top 30 Passover Friendly Desserts that are healthy, gluten free, dairy free, vegan and paleo-approved! Calling all of you lovelies celebrating Passover this year. 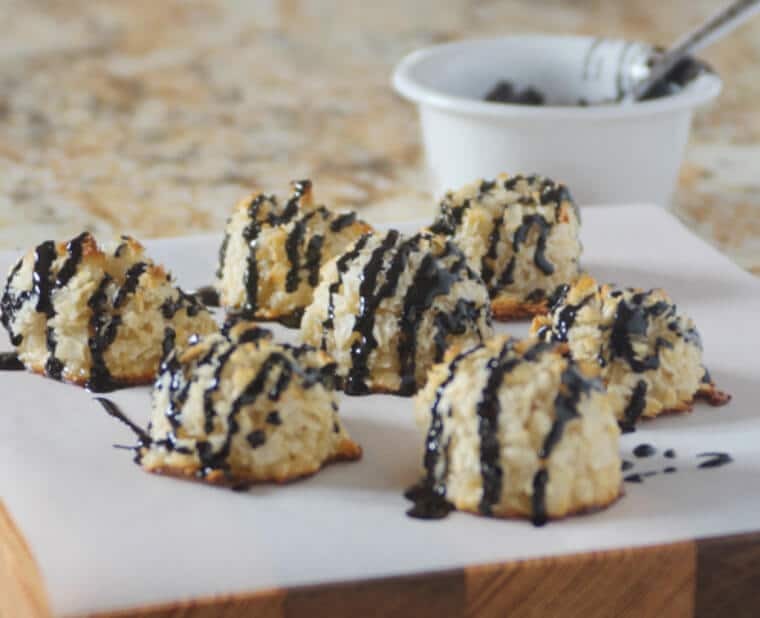 I have a great list of recipes that you can make for your Passover parties coming up. We have Mango Banana Sorbet, Cinnamon Coffee Cake and everything in between. Every party or celebration must have desserts and these are desserts are not only delicious but will make your guests wanting more! 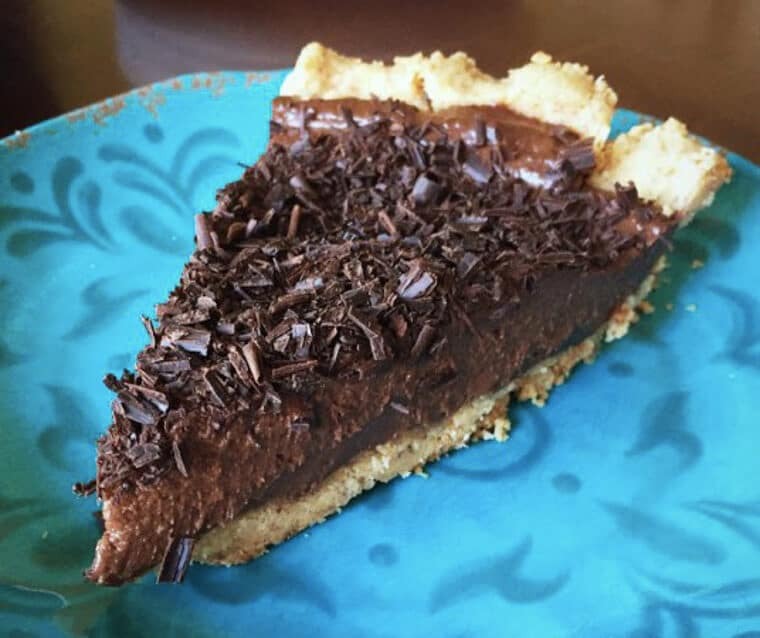 What are Passover Friendly Desserts? If you’re new to the Jewish holiday, Passover (Pesach) commemorates the story of the Israelites’ departure from Egypt. Because they left in such a rush, their bread didn’t have time to rise. So for 8 days, Jews avoid eating anything that has risen (chametz) during the holiday. Chametz is anything made from the five major grains – wheat, rye, barley, oats and spelt. Some Ashkenazic Jews also avoid rice, corn, peanuts, legumes and others they deem as a possible cross-contamination with Chametz or just too easily confused with it (these foods are called Kitniyot). 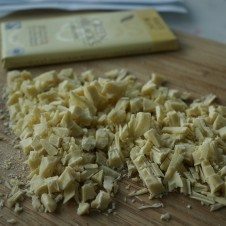 Is Dairy OK in Passover Friendly Desserts? It depends. Jews avoid eating dairy products with meat products in the same meal, and since most Passover seder meals are at dinner, I took the liberty to assume that for most families this would be a “meat” meal where dairy would be prohibited. 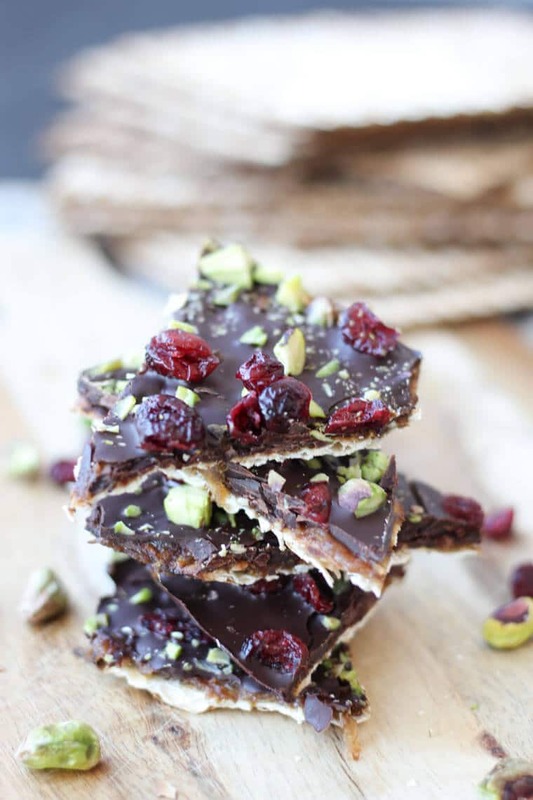 I’ve compiled some of my favourite Passover Friendly desserts that are dairy free, (often) gluten free, (sometimes) vegan and packed with flavour! You won’t even miss the Chametz! 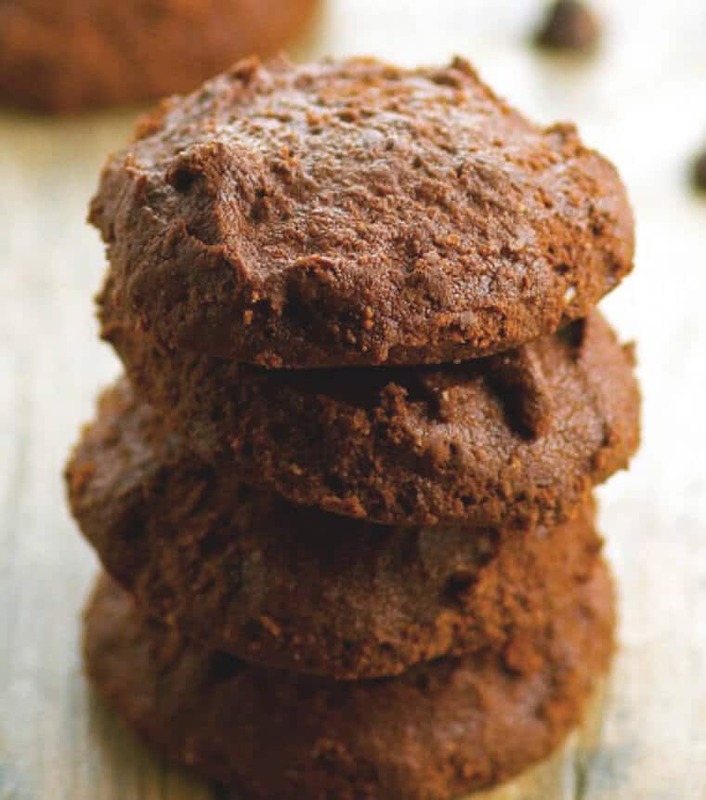 You don’t have to be Jewish to love this sweet treat made with a coconut sugar toffee! 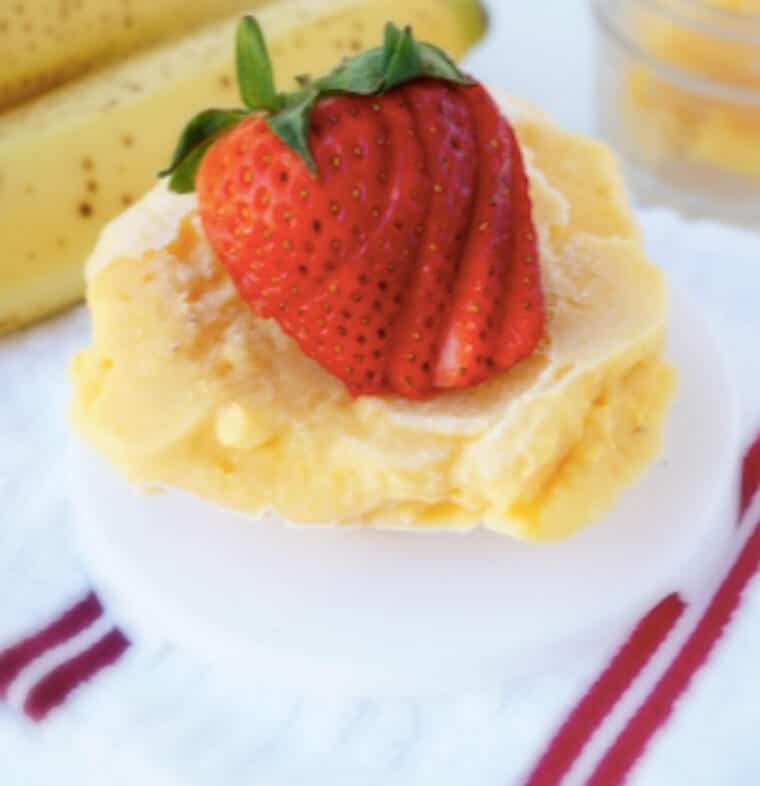 Get a mango and a banana and you have a mango banana sorbet! 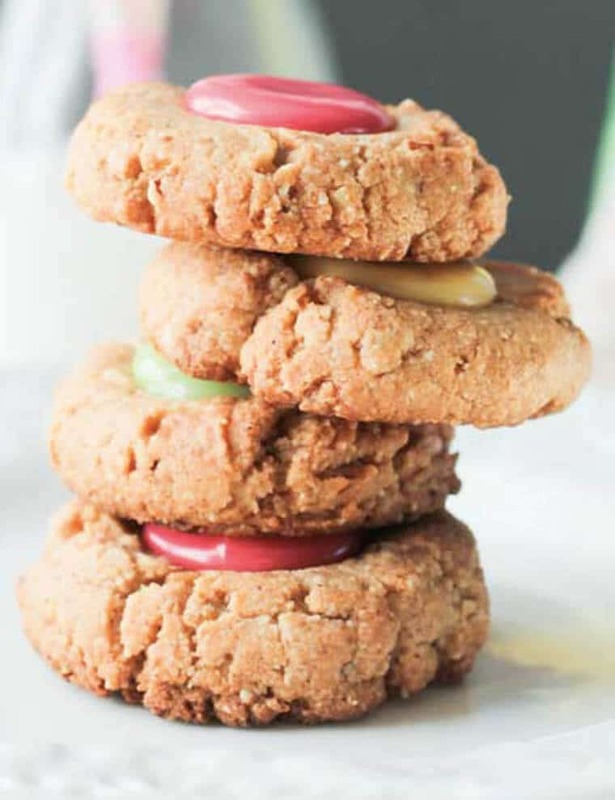 Calling all macaroon lovers, this is a naturally sweet macaroon that is perfect for you! 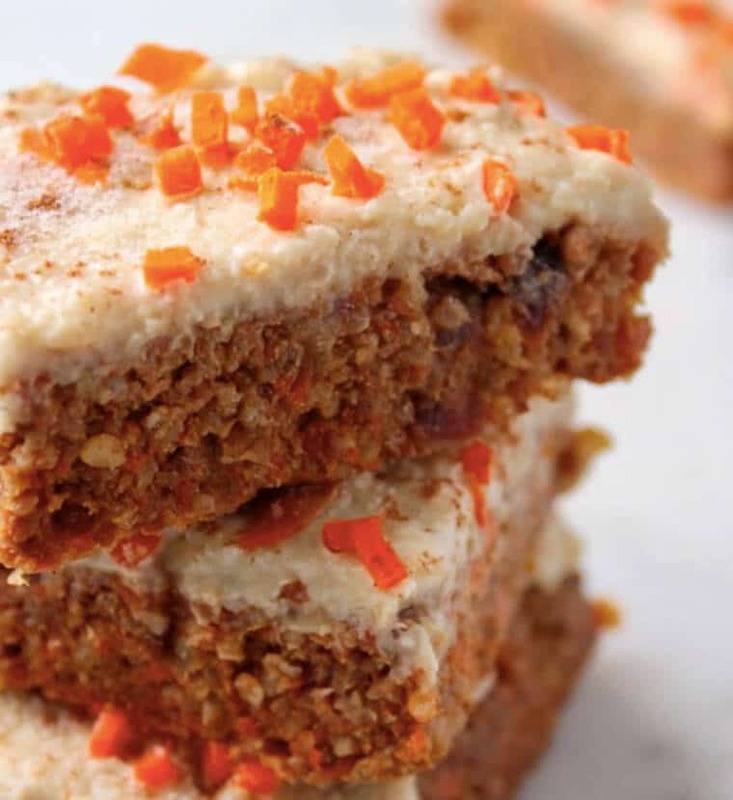 Quinoa and carrots are such a delicious combination; you have to try the carrot cake quinoa bars! 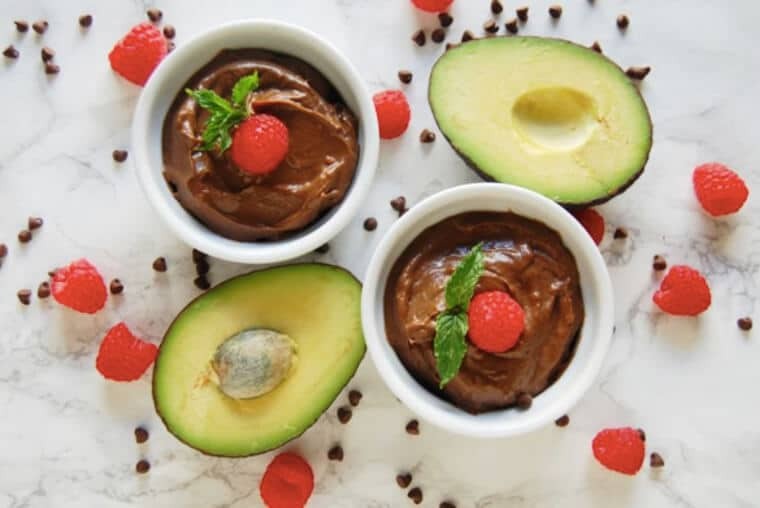 The chocolate raspberry avocado is a great recipe that only uses 4 ingredients! You can never go wrong with ice cream for dessert. 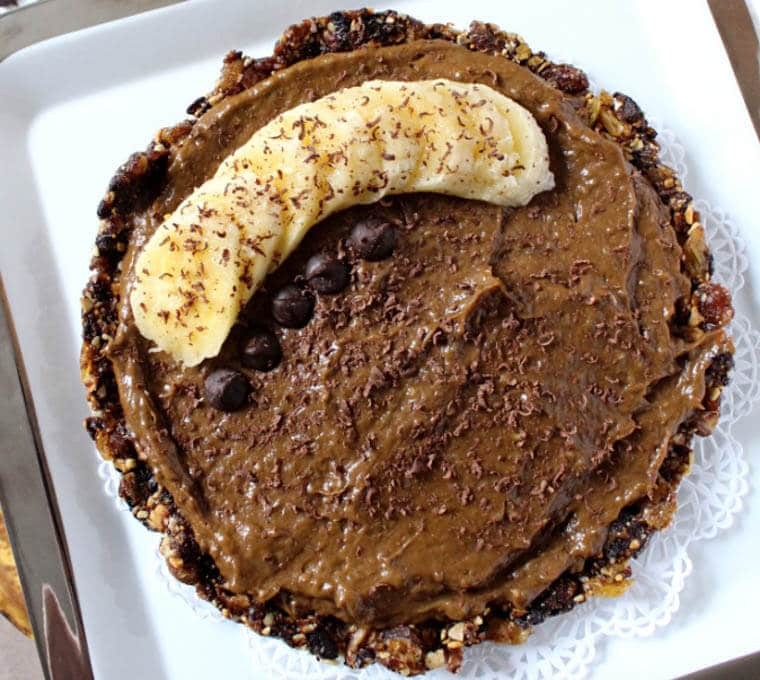 A great dessert with chocolate and banana can never go wrong. 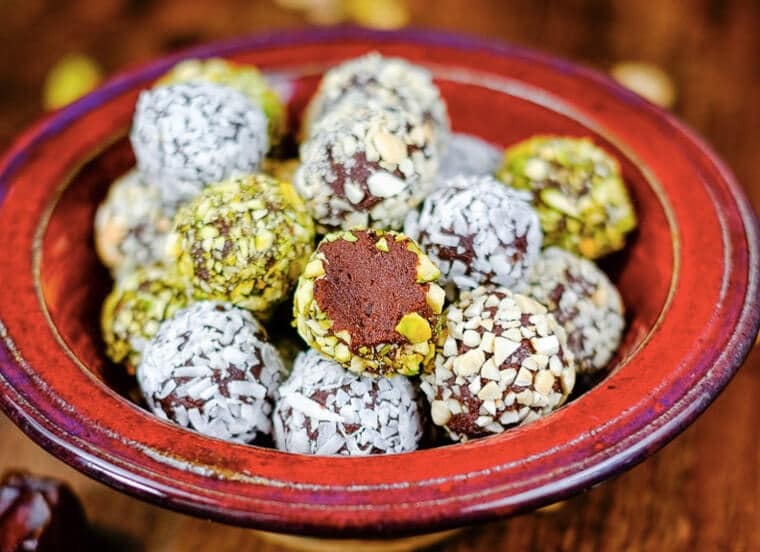 I always think of truffles as a great fancy dessert, so you must try these date and avocado truffles! Only 3 ingredients? This can be made in no time. 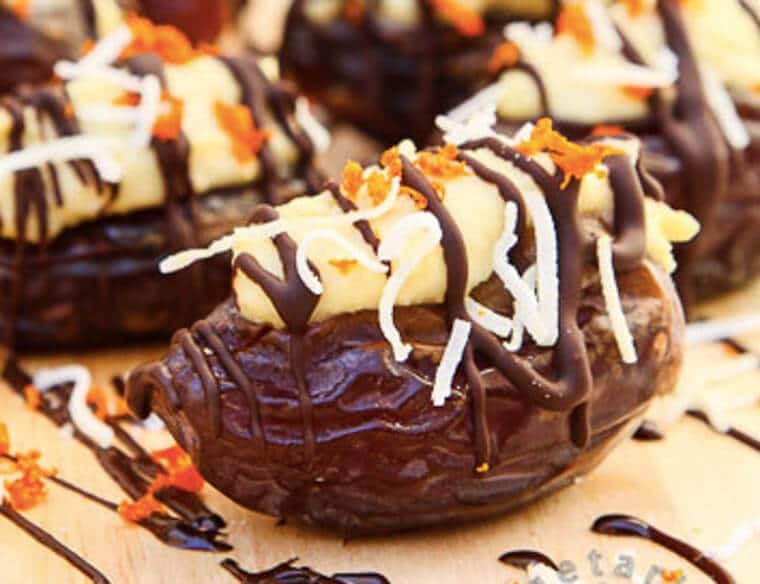 Banana, Chocolate and cookies? Yes please. 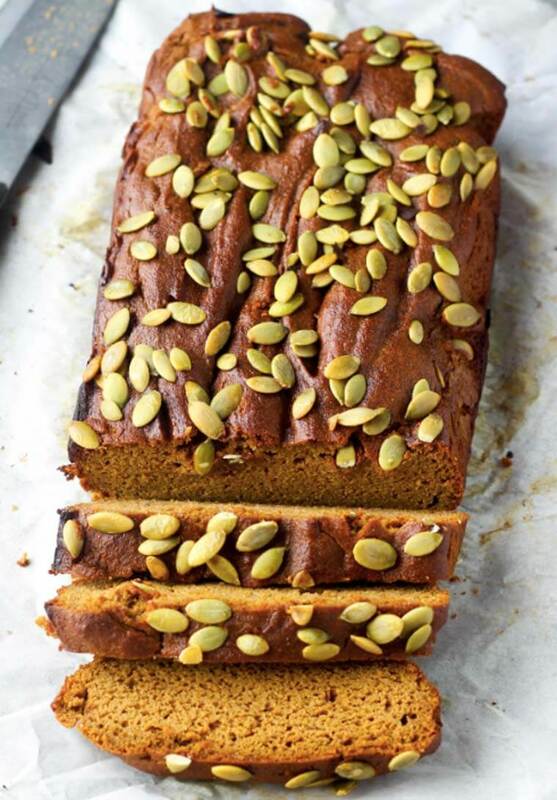 Who says pumpkin bread can only be made in the fall? 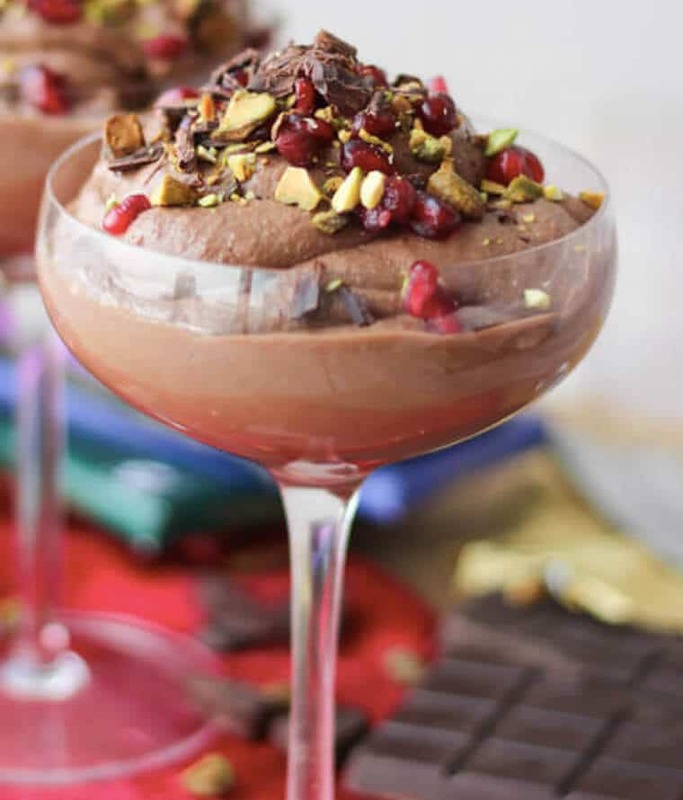 Who doesn’t love a good old mousse? 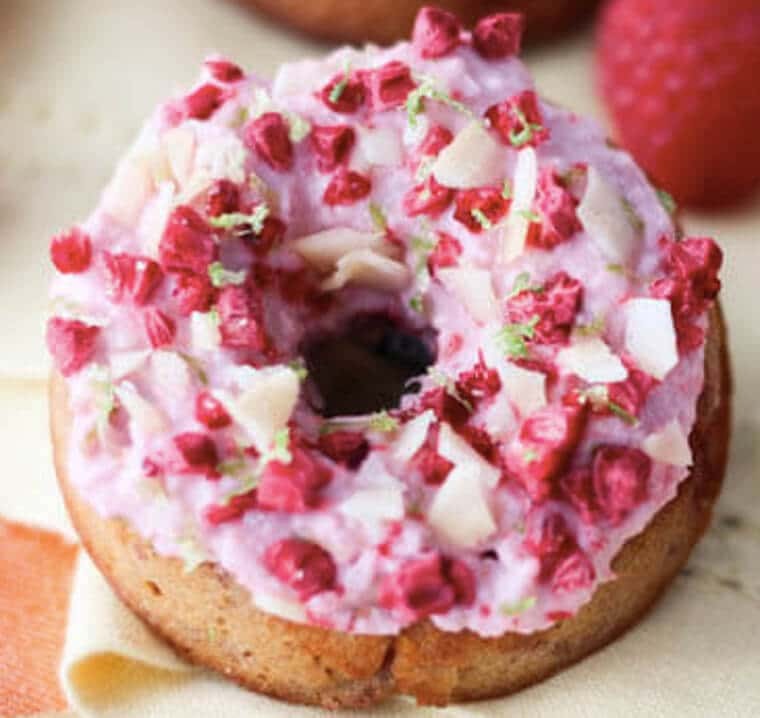 Margarita in donuts? Now that’s cool. 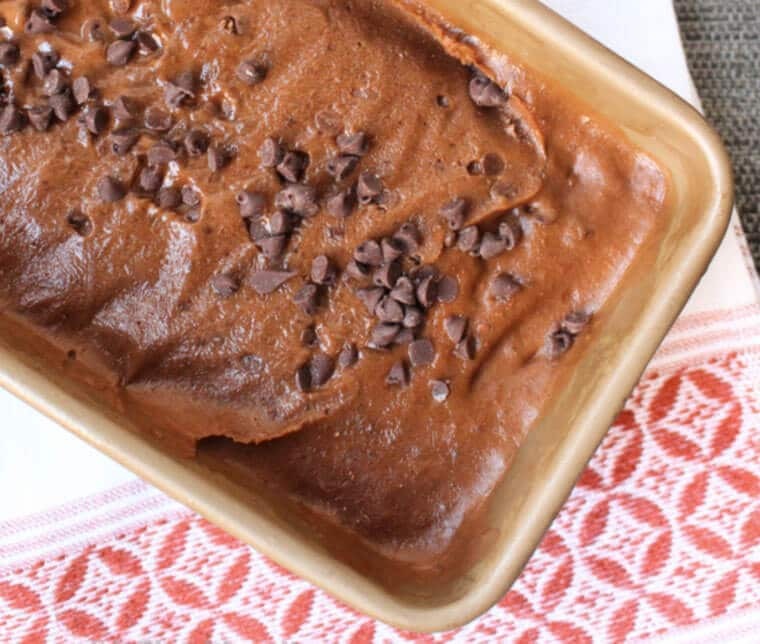 Have you ever thought of making a dessert with a slow cooker? This is your chance. 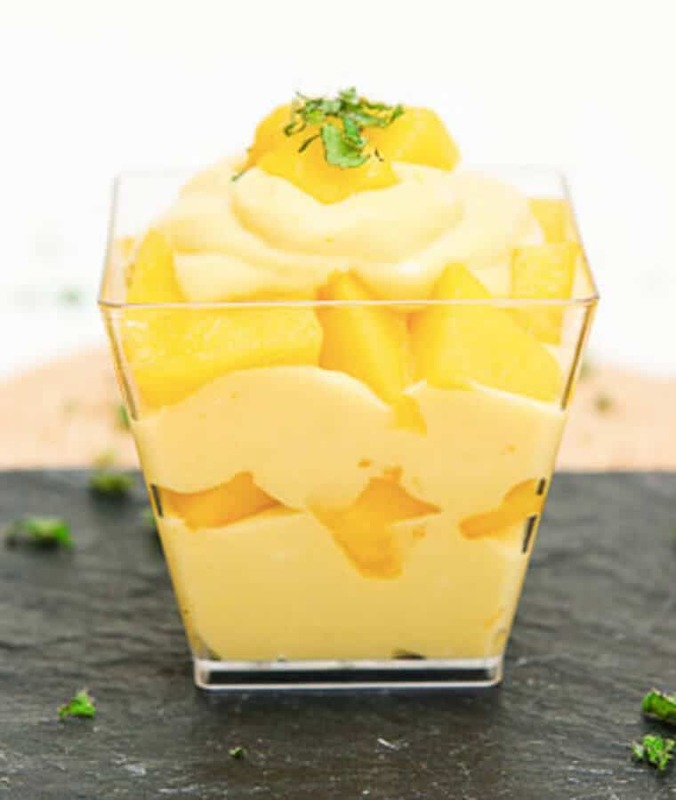 If you love mangoes and love parfaits, this is the perfect recipe for you. A great dessert with dates and oranges. Cherry in truffle form? A work of genius. Cookies and icing? A childhood favourite for many. A pie like no other. 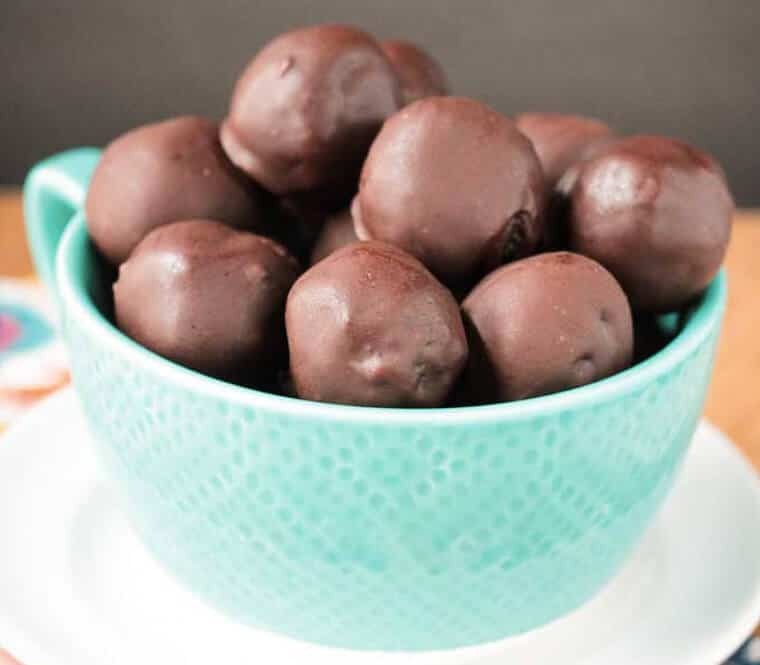 You will never guess what the secret ingredient is…. It’s vegetables! 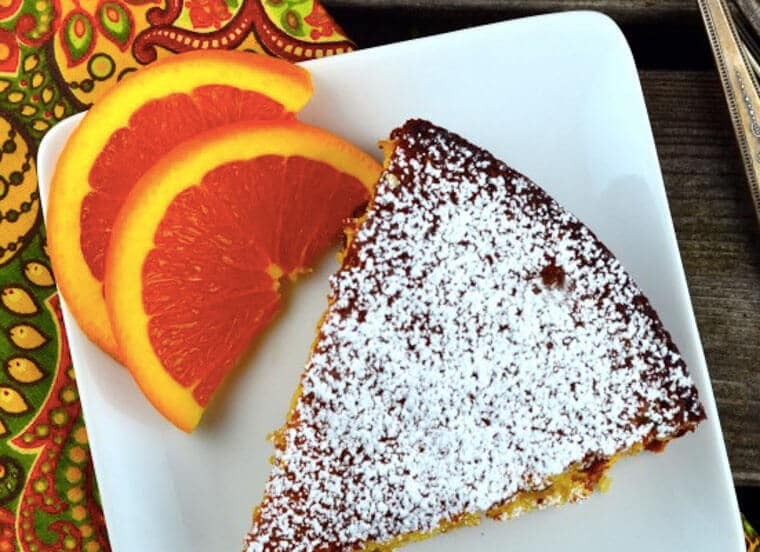 A version of orange cake that tastes great. A quick recipe that can be made in 20 minutes. 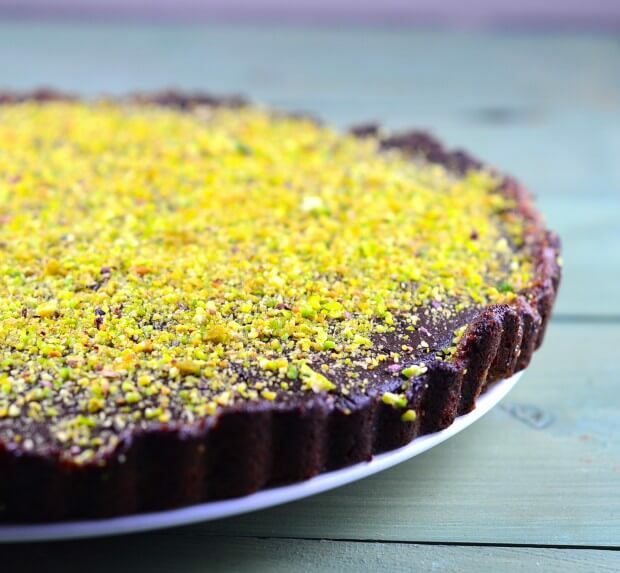 Pistachios, walnuts, and coconut can never go wrong in a tart. 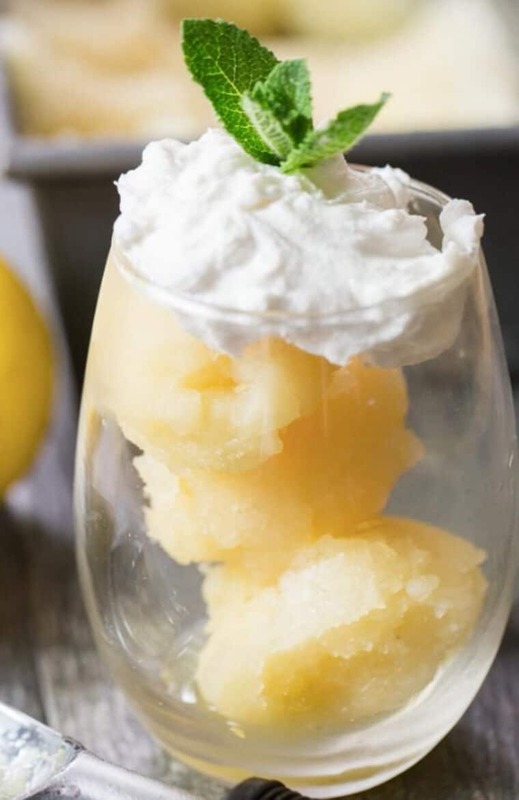 This is such an easy and tasty recipe and the best part is that it only uses 4 ingredients. 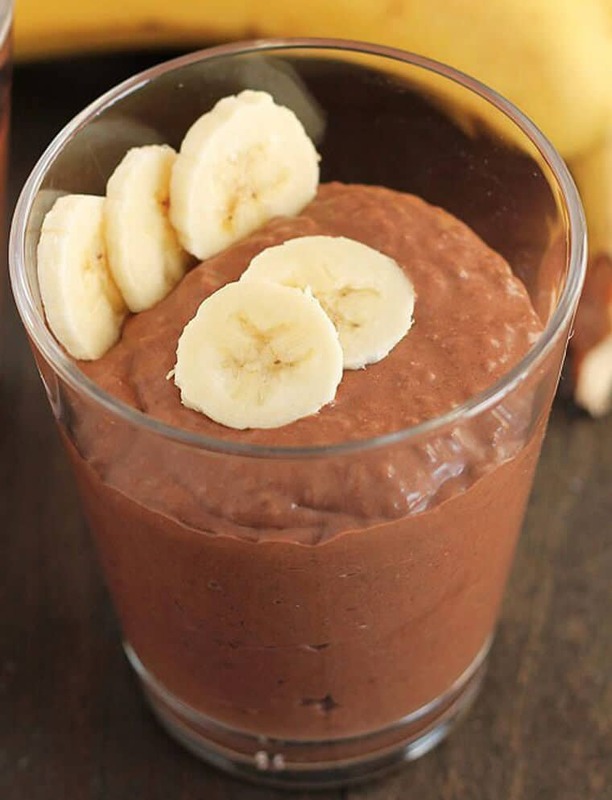 What a great way to combine cocoa powder, banana, and chia seeds. 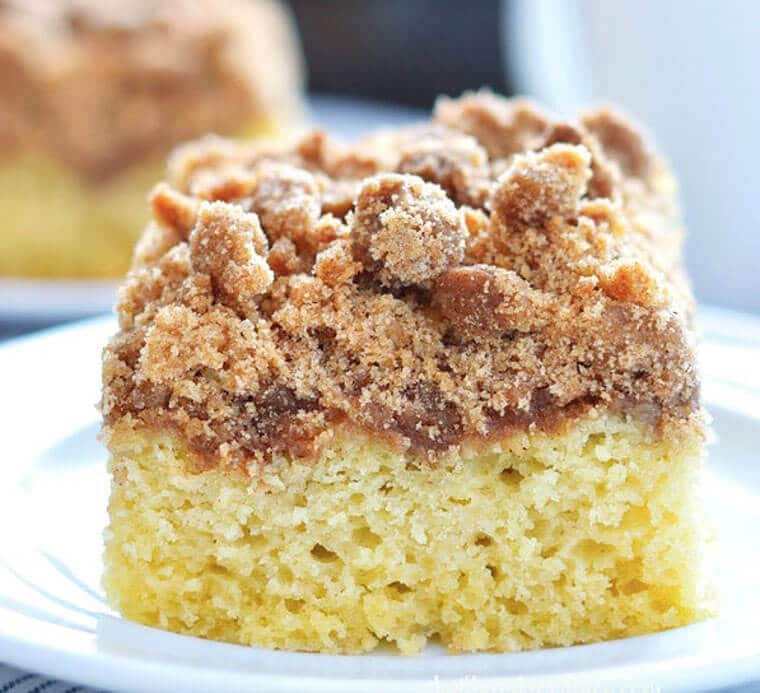 Calling all coffee cake lovers. 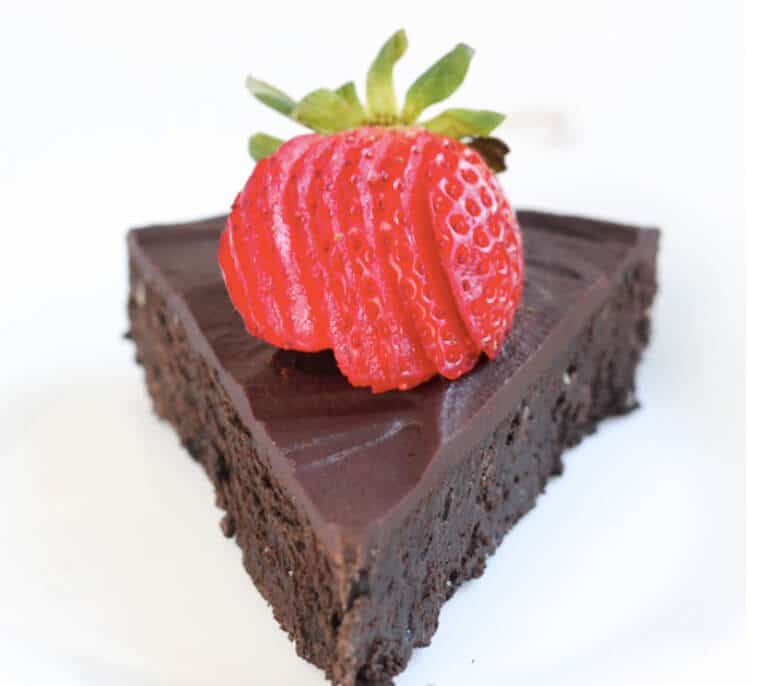 A healthy chocolate cake? I’ll take a slice! 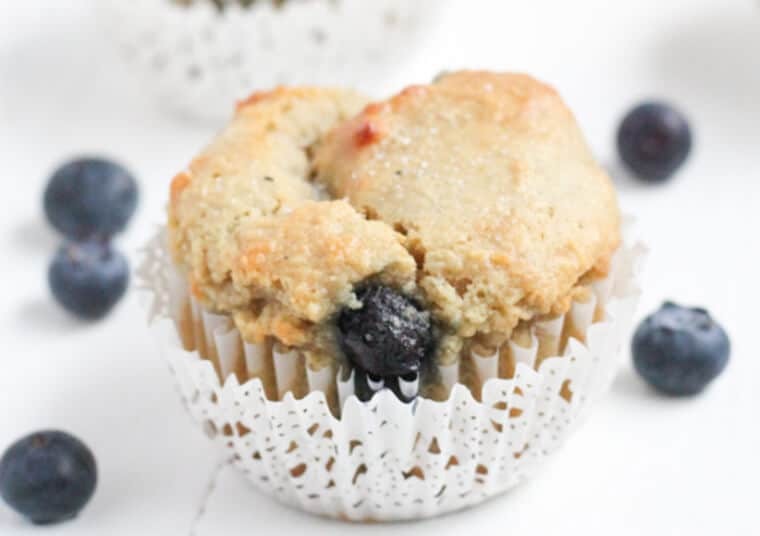 Homemade blueberry muffins? Yes please. 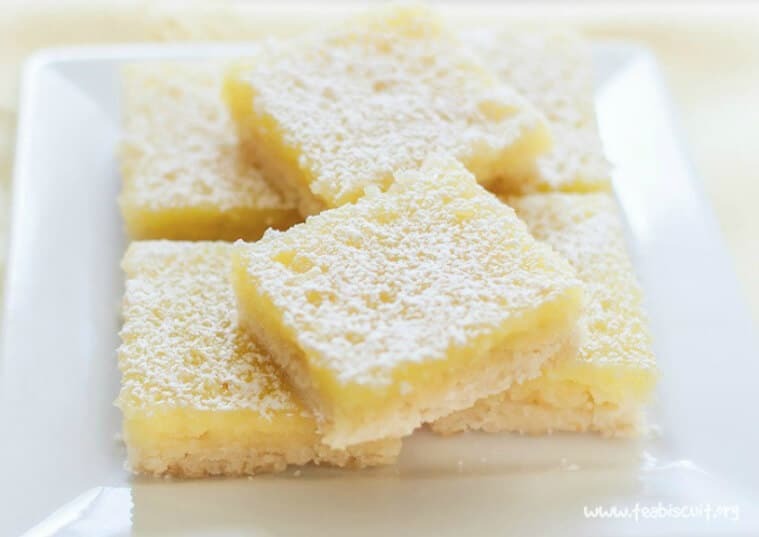 Lemon bars are an amazing treat to have after any dinner, try these gluten-free lemon bars! Strawberry and Vanilla are two flavours that can never go wrong. 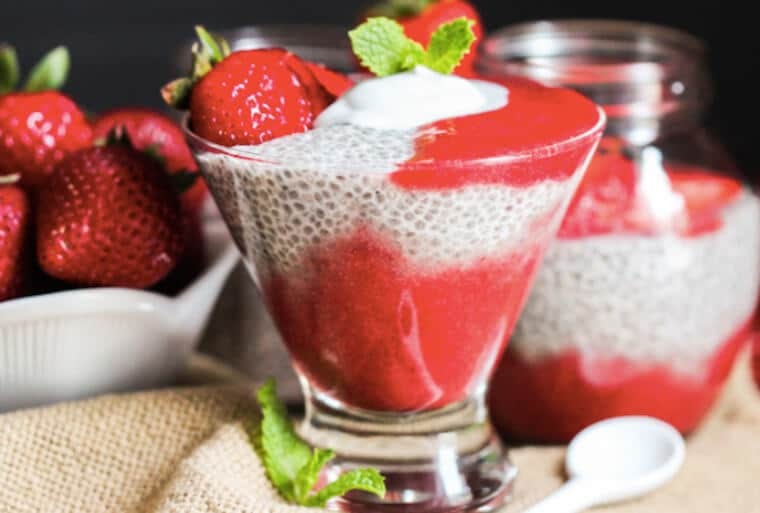 Mix it with some chia seeds and you get this delicious dessert. Now I want to know, what do you plan to make for Passover? 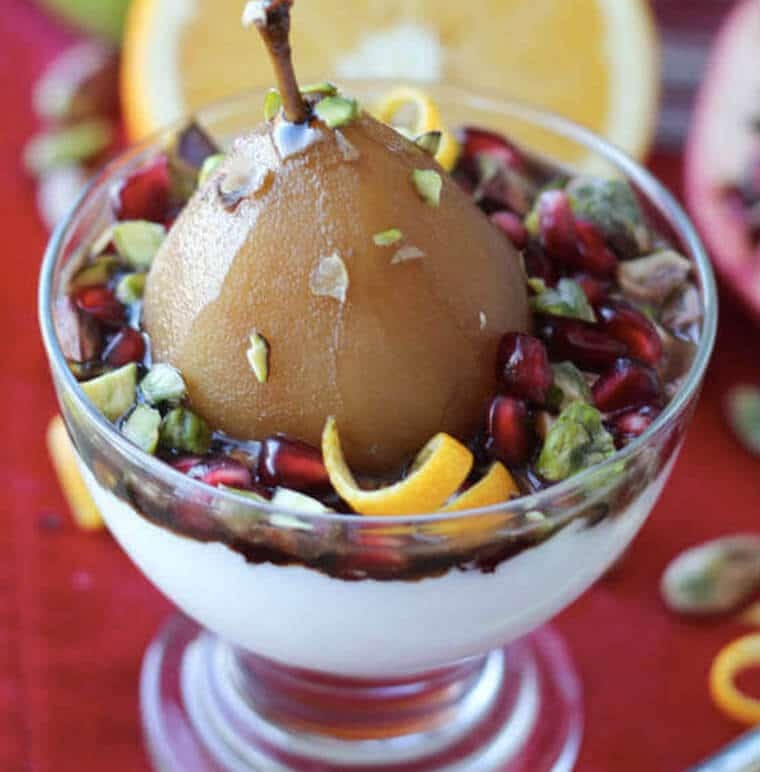 What are some of your favourite Passover friendly desserts? Leave me a comment below with your go-to picks! OMG, so many amazing choices here. Way better than any store bought treats! Drooling over here! I’d eat any of these any time of year! This is great, Abbey! Will share with clients! Thanks for featuring my recipes! great roundup! These all look great! 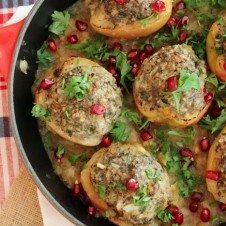 I recently had a client looking for more meal ideas for passover too – will definitely be forwarding them this post. I don’t celebrate but I totally want these desserts! so sorry Carol, i didnt mean to miss this. 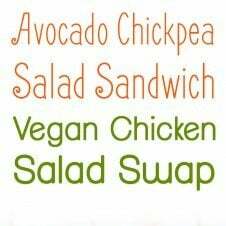 Click on the links to get the recipes. What a great list! Where do I start?? Look at all these yummy treats! Can’t wait to give some of them a try. Thanks for including my Carrot Cake Quinoa Bars! I’m always on the hunt for gluten and dairy free recipes! I pinned this! Thanks, Abbey! 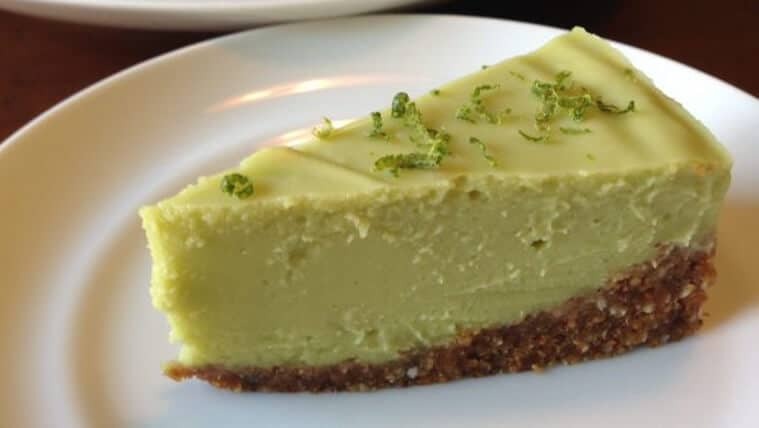 Avocado pudding is definitely one of my favorite things!!! Fantastic round up, Abbey! 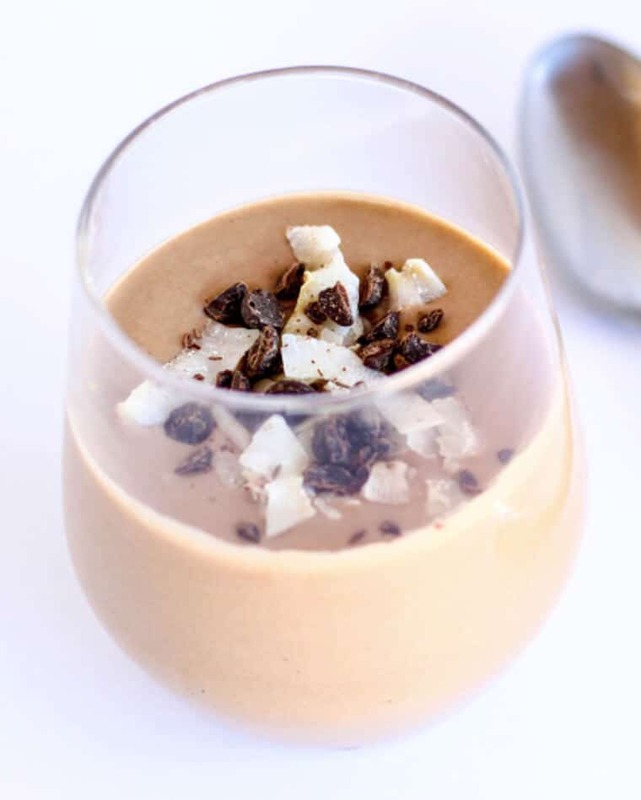 Thanks for including my Chocolate Raspberry Avocado Pudding! These all look so tasty! The matzo looks amazing!